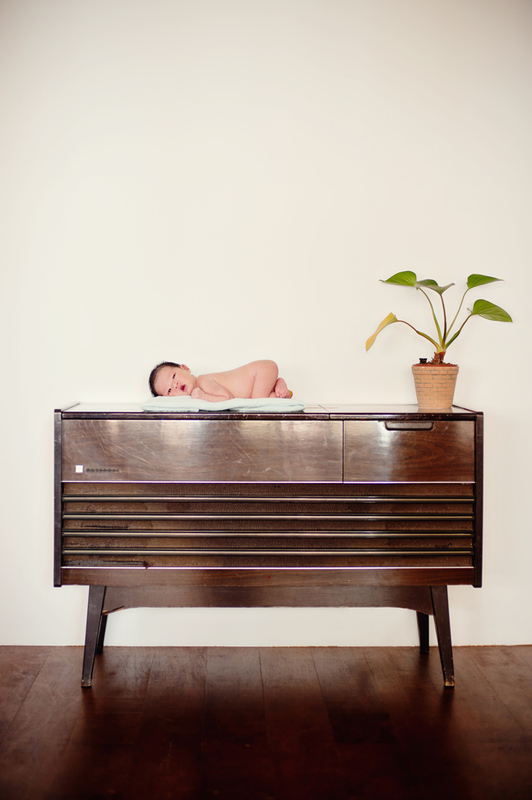 the mummy, the photographer & the wife: Retro Radio Baby! Can't resist posting this shot of baby Jun (9 days young) I shot this morning. He is lying on top of a giant retro radio! Isn't it cute?! And the baby too of cos :D Happy midweek everyone! LOVE this pic! To be honest that's the first time I've ever seen a radio like that. Thought it was a funky looking shoe cabinet at first glance, LOL. LOL daphne, the parents will be so sad you thought it's a shoe cabinet :p the entire house was nicely done up as well with cement screeded walls and wooden floors. An artistic shot. Very creative!